In 1920 the League of Nations declared the Samoa archipelago in the South Pacific Ocean a mandate to New Zealand. 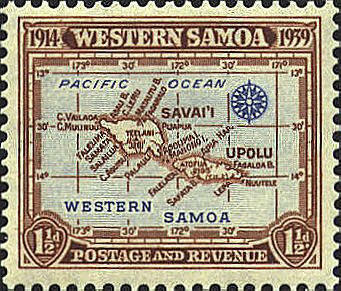 Western Samoa became independent in 1962. 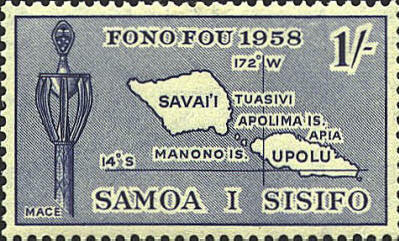 This stamp is one of a set of 10 issued in 1962 to celebrate Western Samoa's independence.